Since our last blog post, the results for Spinzilla have come in and the golden niddy noddy has been awarded to Team Fancy Tiger, who spun an impressive 94,939.73 yards. 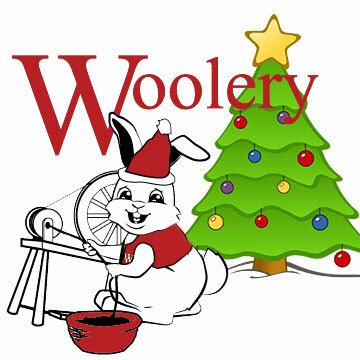 We're quite proud of our own Team Woolery, who placed in the top five, spinning a total of 74,593 yards! We've just returned from the SouthEastern Animal Fiber Fair in Fletcher, NC brimming with even more fibery inspiration! One of the great things about fiber festivals such as SAFF is getting to interact directly with fiber producers. We often return to the shop with beautiful fleece as you can see in our tutorial video on washing fleece! 1. Animals: You'll definitely get your fill of sheep, and you might also get to see alpacas, llamas, goats, or angora rabbits, too! 2. Education: Each fiber festival provides ample opportunity to learn more about the wide world of fiber. Many festivals have shearing demonstrations and sheep dog trials, workshops, or you can sit in on the showing of animals as each breed is judged for specific characteristics as established by that particular breed's association. 3. Sensory Overload: In addition to everything we just listed, there is also a vendor marketplace! Seasoned attendees of fiber festivals usually study the vendor list beforehand and make a list of booths they want to be sure to stop by; it's also a good idea to make a list of items you'll need for projects you're planning. For instance, if your goal is to knit a sheep to shawl project, you'll want to be sure to come home with fiber prep tools, wool wash, and your fleece! Though fiber festival season is winding down for 2013, there are still plenty of ways you can experience breed-specific fleece and fibers this fall. 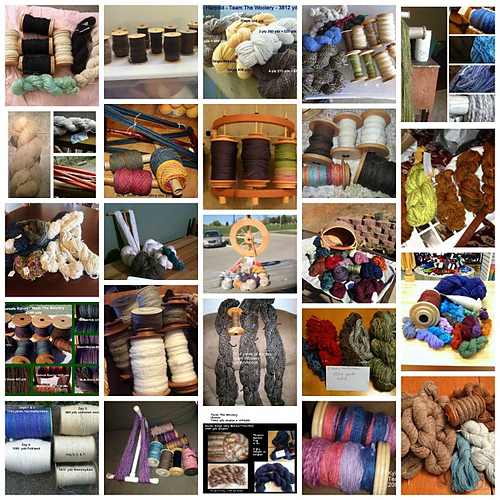 We're big fans of Deborah Robson and Carol Ekarious' Fleece and Fiber Sourcebook (excerpted here on a previous blog post), and you can also check out this comprehensive guide to fiber festivals from the Knitter's Review archives. Then, be sure to mark your calendars for the 2014 Fiber Festival Season! Have you heard about our annual holiday promotion, the 12 Fiber Toys for Fiber Lovers? Each Friday during the celebration, we will feature a favorite fiber toy with a special deal and a chance to win that particular toy (tool). Now through December, 27th we will post on the weekly special and giveaway on our Facebook page, Tweet it, and include it in our newsletter. These are weekly specials which expire every Friday (when the new one starts), so be sure to check the links above so you don't miss out!